Carmen Souza is an incandescent female singer of Cape Verdean ancestry, a jazz-tinged chanteuse with a cool, smoky sound. Born and raised in Lisbon and now based in London, Souza grew up speaking both Portuguese and Cape Verdean Creole. Immersing herself in the traditional rhythms of West Africa and Cape Verde, she honed a highly personal sound combining traditional rhythms and song forms with jazz and Brazilian influences. Her 2005 debut album Ess ê nha Cabo Verde catapulted her into the top ranks of rising Cape Verdean stars such as Lura, Sara Tavares, Mayra Andrade and Maria Alice. Her second release, Verdade (Truth), confirmed Souza’s status as a major new talent, and last year’s Protegid (Protected) made her a true world music force, with a sound illuminating the far-flung musical currents that germinate in Cape Verde’s impoverished soil. 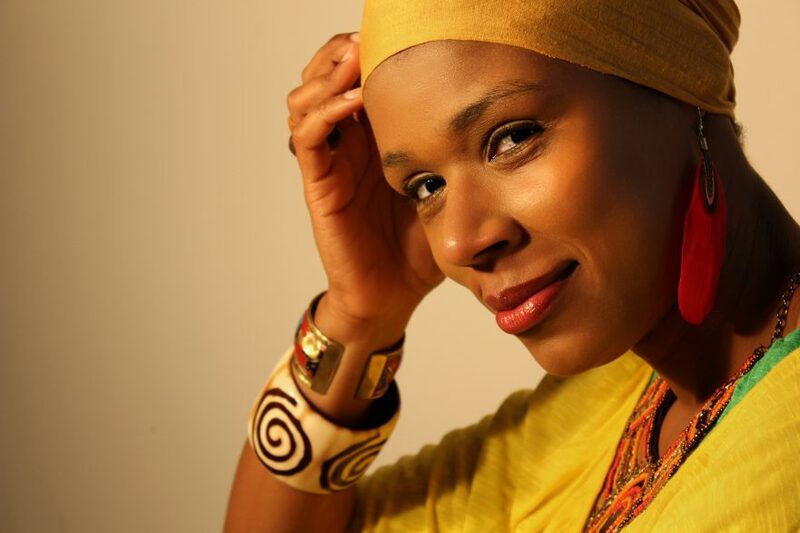 In 2013 Carmen Souza won the title of Best female singer and Best Morna with the album Kachupada at the Cape Verdean ‘Grammys’- Cabo Verde Music Awards 2013. #31 Best Vocal at the 2013 NPR Jazz Critics poll together with a position for Best New album for Kachupada right next to all the greats of Jazz in the World!